Dr. In–Ki Joo was recently appointed as the President of IFAC in November 2018, for the period of 2018-2020, having previously served as Deputy President for the period of 2016-2018. Dr. Joo joined the IFAC Board in November 2012, nominated by the Korean Institute of Certified Public Accountants (KICPA). Dr. Joo is a Professor, Emeritus, of Accounting at the Yonsei University School of Business (Republic of Korea). 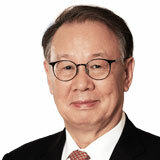 Dr. Joo is a past President of the Confederation of Asian and Pacific Accountants (2009-2011). He has also served as the President of the Korean Accounting Association, as well as the President of the Korean Academic Society of Business Administration. He was a member of the Advisory Committee to the General Audit Bureau in the Republic of Korea and the President of the Korean Academy of Business Ethics. Dr. Joo received the Decoration of Excellent Achievement by the President of Republic of Korea in 2004 and Honor from the Deputy Prime Minister and the Ministry of Finance and Economy in 2001. He has also published many books, including Theory of Financial Accounting Standards, and many articles on financial accounting. Dr. Joo earned an MBA and PhD in accounting at New York University (US) and is a member of KICPA and a former member of the American Institute of CPAs. 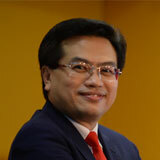 Mr. Kon Yin Tong is the President of the Institute of Singapore Chartered Accountants (ISCA), and President of the ASEAN Federation of Accountants. Mr. Kon has been in the public accounting profession for more than 30 years. 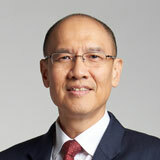 As Managing Partner of Foo Kon Tan LLP, his areas of practice include those in litigation support and dispute resolution, including acting as expert witness and as assessor to the Court. Mr Kon has been a Board member of the Singapore Accountancy Commission since 2013. Mr. Kon is a first-class honours graduate from the London School of Economics. 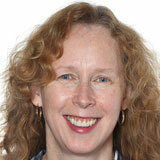 Anne-Marie Vitale became a member of the International Accounting Education Standards Board in July 2012. She was nominated by the Transnational Auditors Committee. Ms. Vitale currently serves in PwC’s Office of the General Counsel in a forensic capacity working on US Securities and Exchange Commission, US Public Company Accounting Oversight Board, and litigation related matters. Previously, she was on tour in the National Quality Organization of PwC as the Assurance Learning and Development Leader. In addition to establishing the strategic direction for learning and development, she led PwC's efforts to leverage continuous professional education as a means to directly improve audit quality. As an Audit Partner with more than 25 years of experience in the technology industry group serving emerging and multinational public companies in various business sectors, including semiconductors, computers and networking, software, and medical devices, Ms. Vitale has provided technical advice to both emerging and large multinational public companies on a wide variety of accounting and reporting matters. She also has extensive experience in public offerings of equity and debt securities. Prior to joining PwC, Ms. Vitale worked at a multinational corporation that provided scientific, engineering, systems integration, and technical services. Ms. Vitale is a member of the American Institute of CPAs, the California Society of CPAs and a certified global management accountant. She also is on the Board of Directors of the Silicon Valley Directors’ Exchange, a non-profit organization that provides a forum for education and current issues impacting directors of public and private companies. Ms. Vitale has an MBA with an emphasis in finance from the University of San Diego (US) and a Bachelor of Science in Combined Science from Santa Clara University (US). David Simko has over 29 years of experience with Ernst & Young and is currently a partner in their Global Assurance Standards, Methodology, and Implementation group, which is responsible for monitoring global standard-setting activity and developing appropriate guidance and enablers to support the effective and efficient implementation of these standards. He has also been in a variety of learning roles throughout this career, including serving as Ernst & Young’s global audit learning leader and the US audit learning leader, and has significant experience in the design, development, and delivery of audit learning programs. Daniel Slezak works for KPMG in the United States. Originally with the firm’s Houston and Washington D.C. offices, he is now based in Chicago. Mr. Slezak is currently a Director of Learning and Development at KPMG's Business School and leads the U.S. firm’s curriculum measurement initiatives. He previously lead the U.S. firm’s curriculum scoping initiatives for interns, new hires, and associates in the audit practice and was involved in the instructional design and content development of program materials, including the facilitation of training events. Prior to assuming his learning and development roles, he worked as an audit manager. 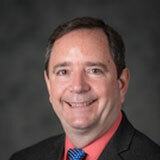 Mr. Slezak has been an IAESB Technical Advisor since 2015, serving as secretary for the IES 7, Continuing Professional Development (Revised) task force. Mr. Slezak is a member of the American Institute of Certified Public Accountants and holds a bachelor's degree in accounting from Southwestern University in Georgetown, Texas. 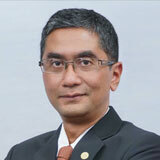 Prof. Sidharta Utama is a member of DPN IAI and has been serving for two term of office (2010-2018). He is also representing Indonesia in the International Accounting Education Standards Board (IAESB) for two consecutive 2-year terms of stewardship since 2015. Currently, he is also a Professor of Faculty of Economics and Business at the Universitas Indonesia (FEB UI) and serves as the Vice Rector 2 of the University. 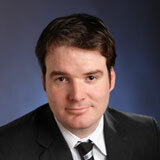 His main research and interest are corporate governance, finance and investment. Prof. Sidharta is a member of the Board of Advisory for Financial Accounting Policy of Bank Indonesia and an independent commissioner and a member of audit committee in several major public listed companies in Indonesia. Previously, he served in various positions at the Faculty, including the Head of the Department of Accounting and the Vice Dean on academics. Previously, he served as a member of Dewan Standar Akuntansi Keuangan IAI (DSAK IAI) / Indonesian Financial Accounting Standards Board, the National Economic Committee, and the Tax Oversight Committee Ministry of Finance. Prof. Sidharta earned a PhD in accounting from Texas A&M University, MBA from Indiana University and Bachelor’s in Accounting from Universitas Indonesia. 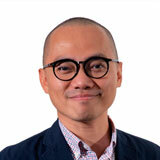 He is a Chartered Accountant (CA) Indonesia and a Chartered Financial Analyst. 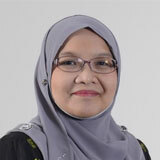 Dr Nurmazilah Dato’ Mahzan is the Chief Executive Officer of the Malaysian Institute of Accountants. 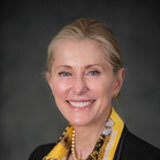 She was previously the MIA Deputy Chief Executive Officer. Prior to leading the MIA, Dr Nurmazilah was the Director of University Malaya Graduate School of Business. 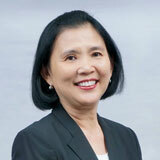 She started her career with Arthur Andersen in 1993, and later joined KUB Malaysia Berhad as Group Accounts Manager. Her corporate experience covers various industries including property development and construction, banking, unit trusts, trading and manufacturing. Dr Nurmazilah was a MIA Council member from 1 August 2012 until 31 July 2014, a Member of the Malaysian Accounting Standards Board (MASB), elected member of Board of Governors for the Institute of Internal Auditors Malaysia (IIA Malaysia), Council member of The Malaysian Institute of Certified Public Accountants (MICPA) and the Honorary Treasurer with Persatuan Ekonomi Malaysia. Dr Nurmazilah also served in various committees of MIA and MICPA. An accountancy graduate of the International Islamic University of Malaysia, Dr. Nurmazilah is a member of MIA, MICPA, an ASEAN CPA and a CGMA fellow. She is also a Certified Internal Auditor (CIA) and holds the Certified Risk Management and Assurance (CRMA) qualification. Dr. Nurmazilah has a deep interest in applied research, especially in digital and technological issues affecting the profession. She holds a PhD in accounting from the University of Birmingham, United Kingdom, and conducted various research projects in the areas of auditing, financial reporting and corporate governance throughout her academic career. Chun Wee is the regional head of policy for the Association of Chartered Certified Accountants, ACCA, tasked with supporting its advocacy and policy work across ASEAN and Australia New Zealand. He works with key stakeholders to identify and drive new research initiatives that provide evidence-based policy and thinking impacting the business community and profession, demonstrating ACCA’s regional and global reach and public values. He is a regular speaker and panel chair on topics ranging from evolution of corporate reporting, integrated thinking, the evolving role and skillset of finance leaders, talent strategy to the value of audit. Chun Wee currently serves as a board member on the International Auditing and Assurance Standards Board, IAASB, an independent standard-setting body that sets international standards for auditing, quality control, review, other assurance, and related services. Prior to joining ACCA, Chun Wee was a key member of the Professional Practice Department of a Big Four accounting practice, where he focused on audit methodology and regularly delivered internal and external trainings on auditing and quality management matters. He has more than a decade of experience in public accounting and has worked in audits of and special assignments for multinationals and local listed companies. Isnaeni is a member of IAI National Council and a Partner of Ernst & Young Indonesia. Known as both an accountant and IT expert, Isnaeni is a founder of social media start-up, AkuTahu.com. 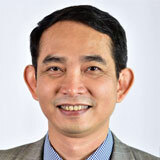 He is also the President of ISACA Indonesia Chapter. Better known as “Techno – Accountant”, he is active in providing consultations in the field of digital/IT transformation, data analytics and cyber security strategy and implementation. As a lecturer in the Faculty of Business and Economy of Universitas Indonesia, Isnaeni is also actively participating in various sharing sessions in seminars and conferences. Isnaeni obtained his Bachelor's of accountants and Master's of accountancy in strategy of finance from Universitas Indonesia. Currently he is an Ph.D candidate with dissertation focusin on information system. Jusuf is a Council Member of IAI/ex-officio Chairperson of IAI Sharia Accountant Compartment (IAI KASy). Jusuf Wibisana also serve as Partner of PwC Indonesia (KAP Tanudiredja, Wibisana, Rintis & Rekan) with more than 30 years of experience in assurance for financial, banking industry, and insurance. Currently, he is also a Member of the Audit Board of the Indonesia Financial Services Authority and a Lecturer in the Faculty of Economics and Business in Brawijaya University, Malang. Leading the establishment of Islamic Accounting Standards in Indonesia, Jusuf Wibisana also active in participating on International level by becoming the Board Member of Accounting and Auditing Organization for Islamic Financial Institutions (AAOIFI) and represent Indonesia at the Islamic Finance Consultative Group (IFCG) forum established by IFRS. Jusuf has previously served as the Chairman of the Indonesia Sharia Accounting Standards Board (2009-2016), and Chairman of the Indonesian Financial Accounting Standards Board (2002-2009). Jusuf earned his bachelor of economy from Gadjah Mada University, and has earned his Master of Economics majoring in Accounting from Macquarie University, Australia. Irhoan Tanudiredja is the Territory Senior Partner of KAP Tanudiredja,Wibisana, Rintis & Rekan (PwC Indonesia) and has held that role since his election in 2010. He joined the firm in 1985. Irhoan has more than 33 years of experience in public accounting and all facets of financial reporting including external, internal and compliance audit. He has served public and state-owned clients with a focus on the consumer, industrial manufacturing and telecommunications industry sectors. Irhoan is a board member of the Indonesian Institute of Certified Public Accountants for the period of 2017 – 2021. Initially qualifying as a teacher after graduating, Catherine switched paths to train, as an accountant, qualifying with ACCA (Association of Chartered Certified Accountants) whilst working in a mixed general practice. This training provided experience in many areas of accounting and tax, as well as audit of different sectors. Once qualified, she returned to her educational roots and taught for over ten years, specialising in financial reporting and auditing subjects before coming to ACCA in 2005 as Head of Qualifications. Both her team and the scope of her role expanded over the years. Catherine became Director of Qualifications in 2012, managing development, content and production of all ACCA exams, including the introduction of online exams using word processing and spreadsheet tools, and the application of psychometrics in results. Additionally she has led qualification related projects across different sectors for various markets worldwide. In 2017 she was appointed to a new specialist global role at ACCA as Director of Skills and assessment, with specific responsibility for Qualification performance and standards, as well as research into the needs of professional accountants. In 2018, Catherine was appointed as a technical adviser on IAESB. Prof. Lindawati Gani is a member of DPN IAI for the period of 2014-2018. She is also serving as a Technical Advisor for the International Accounting Education Standards Board (IAESB) from 2015, Deputy Chairperson of the Indonesian Management Board Institute for Corporate Directorship (IICD), member of the Southeast Asia Research Center of Excellence Panel, Chartered Institute of Management Accountants (CIMA), member of Dewan Sertifikasi Akuntan Profesional (DSAP) / Professional Accountant Certification Board (2013-2015), and examining member of the Certified Professional Management Accountant (CPMA) (2006-2015). Prof. Lindawati also serves as a Professor at the Faculty of Economics and Business, Universitas Indonesia, member of Universitas Indonesia Academic Senate, and member of the the University’s Board of Professors. Previously, she served as the Chair of the Master of Accounting Study Program and Accounting Professional Education, Faculty of Economics and Business, Universitas Indonesia (2008 - 2013). She is also listed as an Independent Commissioner of companies such as PT Hero Supermarket Tbk, and PT. AXA Financial Indonesia), and member of the Audit Committee in several public companies, including PT United Tractors Tbk, PT Indocement Tunggal Prakarsa Tbk, and PT Astra Graphia Tbk. Prof. Lindawati graduated with a Bachelor of Accounting in the Faculty of Economics and Business from Universitas Airlangga, Master of Business Administration (MBA) in Strategic Management at the Indonesian Management Development Institute (IPMI) – affiliated with Harvard Business School (Boston-USA) in 1986, Master Management (MM) in Management Accounting in the Faculty of Economics and Business, Universitas Indonesia and obtained he Doctorate degree from the Faculty of Economics and Business, Universitas Indonesia in 2002.